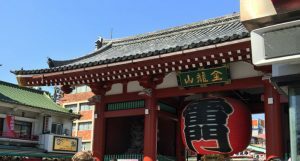 Join us on this fun filled Fall Break Kanto Explorer tour as we travel to Japan’s Kanto region. We begin in Tokyo, a city that prides itself on constant renewal and reinvention; it seriously never gets old. Tokyo has everything you can ask of a city, and has it in spades: a rich, cosmopolitan dining scene, more cafes, and bars than you could visit in a lifetime, fantastic public transport, and grassy parks – plus it’s clean and safe. Really, what’s not to love? Yet, this is just the beginning as we have included day trip Kamakura to visit the Great Buddha, the Cup Noodle Museum in Yokohama, one day each at Tokyo Disneyland and Tokyo Sea, a complete full day of shopping in Ikebukuro and newly added, Uneo Zoo to visit the pandas, Edo Tokyo Museum and teamLab Borderless Tokyo, the world’s first digital art museum. In-flight meals, breakfast daily at your hotel and 2 lunches. Final payment due by July 15th, 2019. Package is non-refundable after this date. 10/06/19 – Depart Honolulu on United Airlines flight 903 at 10:20 am and arrives in Narita at 1:25 pm, 10/07. 10/14/19 – Depart Narita on United Airlines flight 902 at 6:55 pm and arrive Honolulu at 7:10 am.